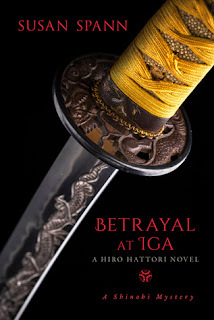 Award-winning historical mystery writer Susan Spann is once again stepping back in time to solve a crime in Japan’s Samurai Era in her new book. “Betrayal at Iga” (published by Seventh Street Books), releases on July 11. With every suspect a trained assassin, and the evidence incriminating not only Hiro’s commander, infamous ninja Hattori Hanzō, but also Hiro’s mother and his former lover, the detectives must struggle to find the truth in a village where deceit is a cultivated art. As tensions rise, the killer strikes again, and Hiro finds himself forced to choose between his family and his honor.